Corinne and Stu were one of my all-time favorite couples to photograph. At their engagement shoot, I got almost as excited about their upcoming wedding as they did. These two only had eyes for each other at their shoot--there wasn't even time to ask if they were camera shy because they were so comfortable being together that touching and, from it, posing came very naturally to them. 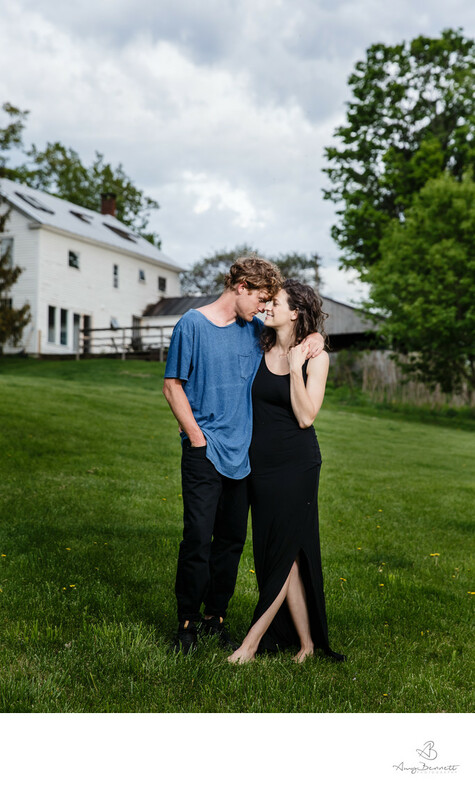 Sometimes couples really shine in front of the camera simply because they are touch-oriented and are comfortable with the physicality of their relationship. This kind of couple would probably not be shy about public displays of affection and are definitely not afraid of more private displays of affection (for example, when it's just the two of them with an experienced portrait photographer). Check out more on Stu & Corinne here and try to replicate some of the poses they do with your partner. Sometimes imitating photos you like is the best way to find out what poses feel natural to you. When it comes to couples like this to whom touching comes naturally and comfortably, it's likely that you will discover at least one half of the couple has the primary love language of physical touch. If you haven't heard of the 5 Love Languages, a book and concept by Gary Chapman, I highly recommend you check it out, especially if you are engaged, planning a wedding, or already married. Once you and your partner have taken the love languages quiz, it's time to find out more about what your love language and your partner's love language (they're not always the same!) mean to you. Discovering your love languages can help deepen and strengthen your romantic relationship and the other relationships in your life. Understanding your love language and the love languages of those who are important to you can help you to plan a more meaningful wedding. Read this article about the five love languages and your wedding to learn more!